East West University is a university in Dhaka, Bangladesh. Bangladesh ranking #10 in the Bangladesh top universities. It’s motto is “Excellence in Education”. It was established in 1996. It is a Private, Coeducational university. The President of this university is Dr. Mohammed Farashuddin. The total students studying in this university are 6,162. 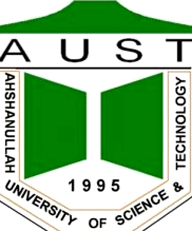 Ahsanullah University of Science and Technology is a university in Dhaka, Bangladesh. Bangladesh ranking #9 in the Bangladesh top universities. It was established in 1995. It is a Private university. The President of this university is Honorable President of Bangladesh. 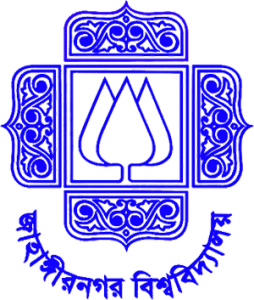 North South University is a university in Dhaka, Bangladesh. Bangladesh ranking #8 in the Bangladesh top universities. It’s motto is “Center of Excellence in Higher Education”. It was established in 1992. It is a Private, Coeducational university. The President of this university is Dr. Hafiz G.A. Siddiqi. The total students studying in this university are 10,000. Rajshahi University is a university in Rajshahi, Bangladesh. Bangladesh ranking #7 in the Top 10 universities in Bangladesh. It was established in 1953. It is a Public university. The President of this university is Prof Abdus Sobhan. The total students studying in this university are 25,000. Jahangirnagar University is a university in Savar, Bangladesh. Bangladesh ranking #6 in the Bangladesh top universities. It was established in 1970. It is a Public University. The president of this University is President Mohammad Zillur Rahman. The total students studying in this university are 10,500. 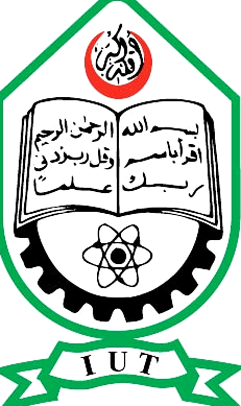 Islamic University Bangladesh is a university in Shantidanga, Kushtia, Bangladesh. Bangladesh ranking #5 in the Bangladesh top universities. It was established in 1985. It is a Public university. The President of this university is Mohammad Zillur Rahman. The total students studying in this university are 10,000+. American International University is a university in Dhaka, Banani, Bangladesh. Bangladesh ranking #4 in the Bangladesh top universities. It’s motto is “Where leaders are created”. It was established in 1994. It is a Private, Coeducational university. The President of this university is Carmen Z. Lamagna. The total students studying in this university are 9,315. Bangladesh University of Engineering and Technology is a university in Dhaka, Bangladesh. Bangladesh ranking #3 in the Bangladesh top universities. It was established in 1876. It is a Public, Coeducational university. The President of this university is Dr. S.M. Nazrul Islam. The total students studying in this university are 5,500. 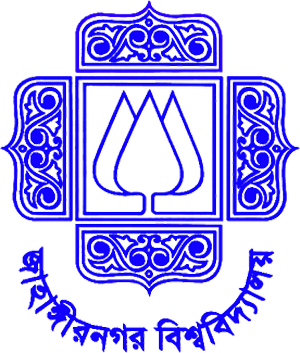 Bangladesh National University is a university in Gazipur, Dhaka, Bangladesh. Bangladesh ranking #2 in the Bangladesh top universities. It was established in 1992. It is a Public university. The President of this university is professor Kazi Shahidullah. The total students studying in this university are 120,000. University of Dhaka is a university in Dhaka, Bangladesh. Bangladesh ranking #1 in the Bangladesh top universities. It’s motto is “Truth Shall Prevail”. It was established in 1921. It is a Public, Coeducational university. The President of this university is AAMS Arefin Siddiquen. The total students studying in this university are 32,000. This was the complete list according to the Top 10 Universities in Bangladesh (leading universities in Bangladesh). It’s a good ranking list.But i think East West should be stay on 4th or 5th position. no no… it obviously should b d 1st ..! I think Buet Should be Second Position. PRIVATE RANKING E PRIVATE UNIVERSITY TOP E THAKBE ETAI SHAVABIC.BUET K REKHE LAV KI EKHANE AR EKTA P.UNIVERSITY DHUKLEI PARTO. It’s great AIUB hold on 4th position,,,,,,,,it deserve this position. It’s not surprising that DU is in no.1 position, but it is far ahead of other universities listed here and it can be compared only with itself. It is the fact. for MS in CSE which university will be good?? For CSE BUET is the best. Then SUST, Then Dhaka University, Then Daffodil Int. 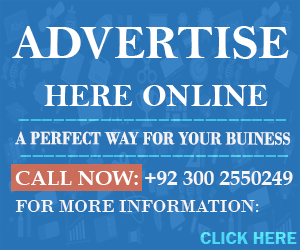 University,Then Ahsanullah University,Then KUET,Then North South University,Then Brac University ………. Based on ACM-ICPC(International Collegiate Programming Contest)2013.
i’m proud to be a student of an university which placed 4th among other university that is AIUB.it must be deserved it position.i should not comments like this it position should be 1st , 2nd or 3rd because this is now only deserve 4th according to its qualification.it may be best university in future among all other university in south Asia. I THINK AIUB IS THE BEST UNIVERSITY IN SOUTH ASIA.AIUB GO IN THE BEST POSITION IN THE FUTURE. East West should be at 5 or 4. I am not a East West student or teacher but I know the graduates are real quality there as good as IBA graduates. Year buddy EWU, I am doing a research with DU and EWU. DU is always 1 but really dunno what other Universities are doing here. I think AIUB is the best.Because there EEE and CSE departments are really world. Where Is IUB? They are also a good University in BD. I think, BUET is in the first position. it is a pair ranking , but UIU is also doing well so i think , it should be placed within 10th position …….. I think east west is best. BUET er sathe karo compare hoi na. I think private university good create student and public university work with good student…. BUET is the Best University in Bangladesh. where is UIU?I think it should be place in within in 10th position. I think BUET is the best but thinking all sides DU is number 1. AIUB is at 4th number ,great felling.Because i am also a new student of AIUB, Spring14.And AIUB permanent campus is also best in asia i ever seen. overall university of dhaka no 1 it’s ok,a big reason is super talents recruitment and huge budget.this university has to fight to continue this position. i am proud bcz i student of national university. lol… i think you are a sagol , murkho. jagannath university is much better than national university. IUT IS THE BEST TECHNOLOGY UNIVERSITY IN BANGLADESH. Don’t know what was the system of the ranking, because it seems that the ranking of National University is based on the number of coverage and students. I think it is the most correct information for ranking. And this is also a good ranking. Don’t know, “What The”…..!other people think and why they feel so zealous. I’m the Student of National University. I think above comments wrote down based on prejudicial idea. At that, Constructive idea didn’t touch in above comments. Preciously speaking, everyone tried to cross out his opposite University from the given Universities ranking. Actually , No one has any indicator to measure quality education. So, it is unknown to everyone how much knowledge need to be a qualitative student? I strongly believe that University is the highest center for cultivating all sorts of knowledge and knowledge is the bundle of thoughts. If anyone can receive more or ensure his/her required knowledge to survive in the face of global educational market , one will be the best with one’s studying University. What’s in a name of university …?? Hope everyone is fine. Most of them are showing their where they are studying. It’s natural. Ranking is almost good. AIUB can’t deserve this position, may be the ranking is older. Brac is doing well but they have no position. Yes, private university is doing well. They are familiar with the modern education system. I can support DU (science and business faculty), BUET they are most. Private university runs in their way and public university as well. It’s not so far that the private university will do better than the public university. If you have any confusion pls. recently visit some university. A student be judged individualy. Not by university name. By definition of an university, other than DU, RU and JNU no other falls in the listed category as “university”. Then why such comparison? private is best bt AIUB initially proved how get a dream job lyk in the sector of Microsoft, NASA, google. Where is sust?sust should be kept in sixth place. I think Jagannath University is now a most popular university in Bangladesh.Now students are trying to admit their self to JNU. Each university can be great with their specialized faculty…its not fair to compare buet with du both are giant from the past respective their own speciality..yes..private university doing great by cultivating all types of student to grow them up with better future…where public uni only work with filtered students..i am student of stamford university bangladesh..which is not listed above..i prefer Stamford in top 20…i’m proud to be graduate from stamford. AI RANKING KISER UPOR BASED KORE KORA HOY ? PUBLIC UNIVERSITY R AGE PRIVATE UNIVERSITY JAI KMNE? TAHOLE BUET ,RUET,KUET, DU SOHO OTHERS UNIVERSITY KI PRIVATE THEKE KKHARAP ? please help me EEE subject well university in Bangladesh. I think Dhaka versity is the best of Bangladesh. wow! good ranking! sust isn’t there…. the best place for cse whole bd… the top science and technology…. isn’t there on tha list! I am a student of North South University. When I became the student of that university, its wave of standard maintenance in terms of serving students, and proving the education I could feel. Every faculty is the highest qualified. I am proud of getting the advancement in the case of foreign faculty. I have become more fluent in English as I am studying my MA in NSU.